If you are attending, hosting or even one of the speakers you may want to add the SPSUK badge to your blog or email signature. 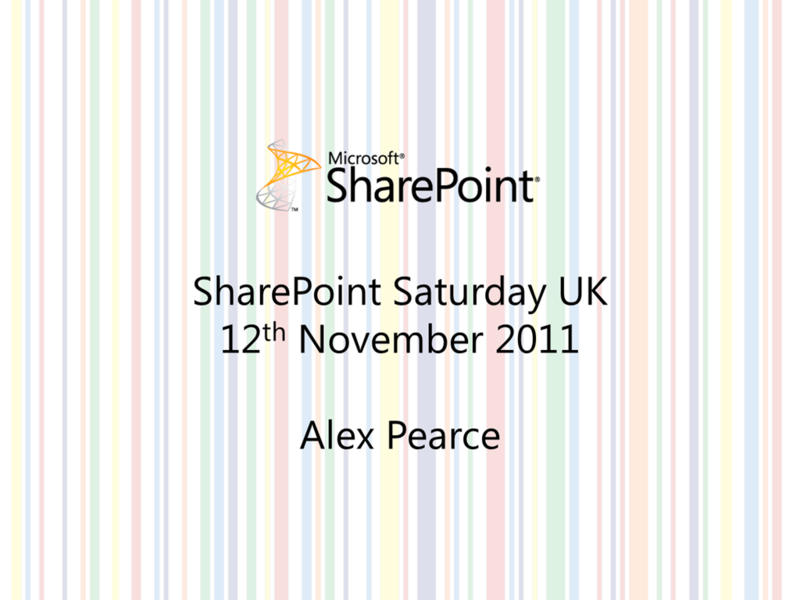 On the 2nd October I was presenting at the SharePoint Saturday in the UK at the Hilton Metropol, Birmingham. The day was filled with great speakers and sessions. 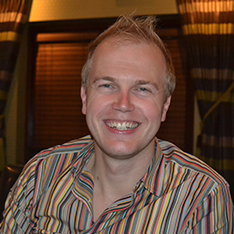 My favourite was the session by Sam Dolan (aka @pinkpetrol) who, in an hour, took a standard SharePoint 2010 site and turned it into a great looking site. Have a look at his work at http://www.pinkpetrol.com. In my session we went through the process of sharing service applications from one farm to another. We talked and then demo’ed creating a trust between the 2 farms. I was asked if I had blogged about the process and I have. Here are the posts. Here are the slides from the day. 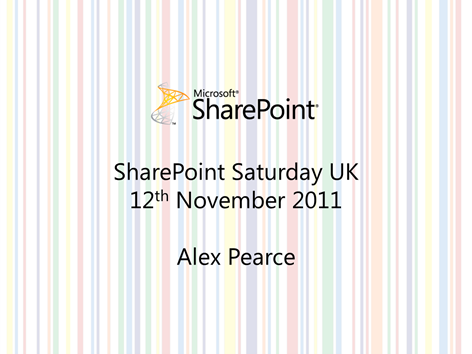 The UK will be hosting its first SharePoint Saturday on the 2nd October located in my home town of Birmingham. With a total of 24 speakers and 30 session this becomes the largest free SharePoint event in the UK. Many months ago when it was first announced that the conference was coming to the UK I submitted my session and am delighted to be speaking. I normally speak around SharePoint in the education market but this time I’m talking in the IT Pro category and talking about publishing and consuming SharePoint service applications. Over the past few months I’ve been involved with implementing 3 new SharePoint 2010 farms with different SharePoint Service Applications being published and consumed to these farms. During my 1 hour session I’m going to talk about why we did it, how it fits into our company structure but also how you can do it in your environment. Using the SharePoint Central Admin and PowerShell we’ll configure 2 SharePoint Farms, one to publish service application and the other to consume them. If you are attending place a badge on your blog or email signature, located SharePoint Saturday Badges.